As Perth finally heads into it's most glorious time of year; summer, I thought I'd give moody winter nails one last hurrah before giving in to 6 months of neons brights and pretty pastels. 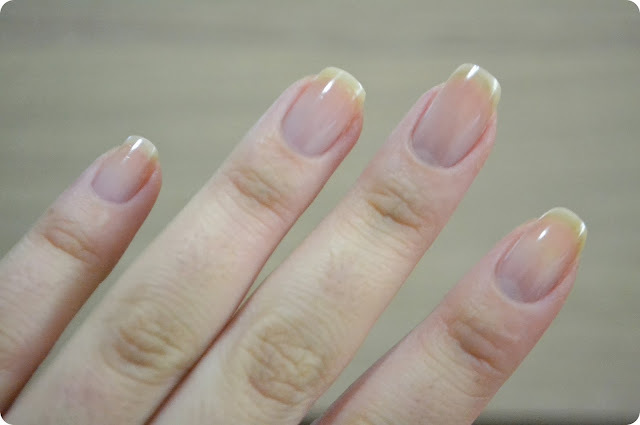 Today's tutorial is super duper quick and easy and all you need is a matte topcoat. You could even use this to refresh a fading mani! The effect is very subtle but unfortunately, as anyone who's used a matte polish before will know, short-lived. Hand creams, body lotion and generally living your life tends to dull the matte effect. Boo! And for those lucky enough to reside somewhere that truly appreciates the sanctity of Halloween; wouldn't this be an awesome mani to get you into the Halloween spirit? Read on for the tutorial! 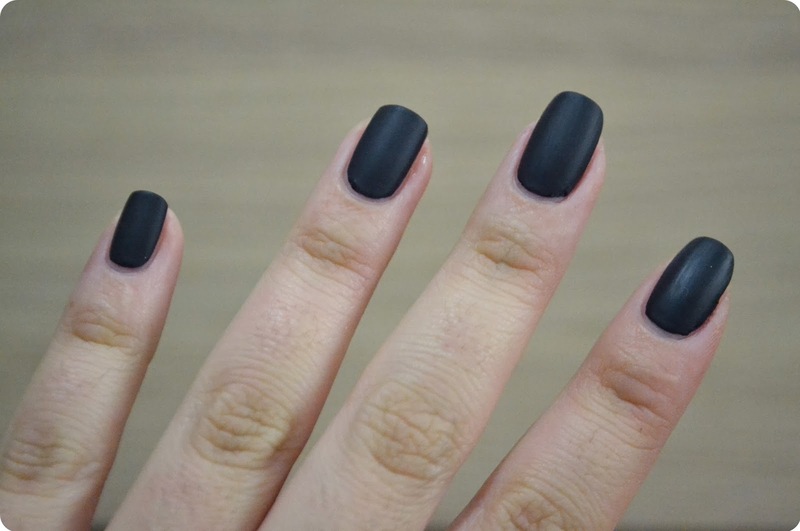 If you're using a dark polish, as I am here, then you definitely have to use a base coat! Not only does it protect your nails, it can smooth things out a bit so any ridges and bumps aren't too obvious which can be emphasised when using a matte topcoat. Next up, sweep two thin layers of your chosen colour on your nails. 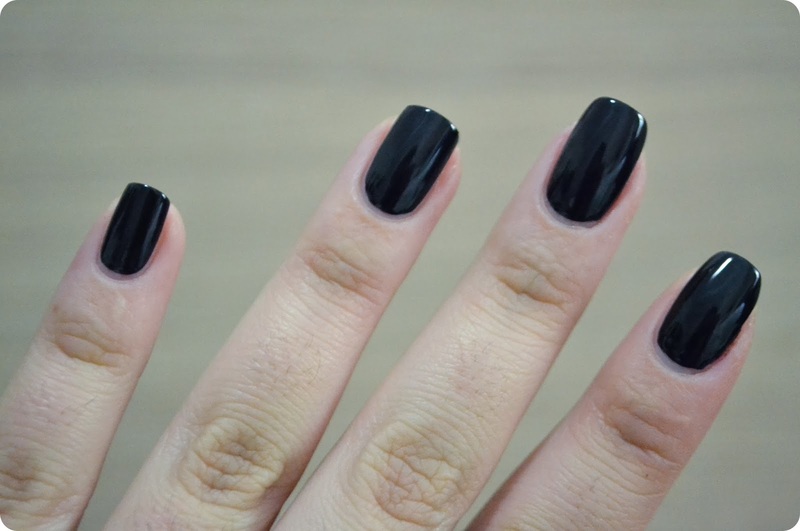 I'm using OPI Lincoln Park After Dark here; it looks black but is actually a very dark plum shade. Obviously, if you're using a polish that's already matte you can miss the next step. 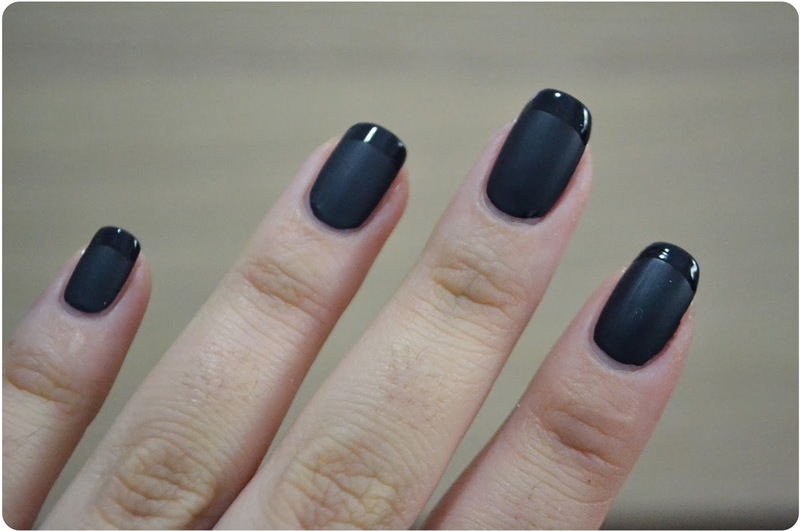 Once the colour is touch dry, apply your matte topcoat. I used one that I picked up from Sportsgirl about a hundred years ago but you can find matte topcoats from just about anywhere now. Essie makes a particularly good one, I hear. Finally, sweep a glossy topcoat across the tips of your nails. If you're not keen on free handing this part you can use french tip guides but you will have to wait until your matte layer is dry. And I mean dry! Applying stickers to less than dry nails will mess up your manicure and you will cry. Trust me on this. Then boom! You just got yo' nails did!